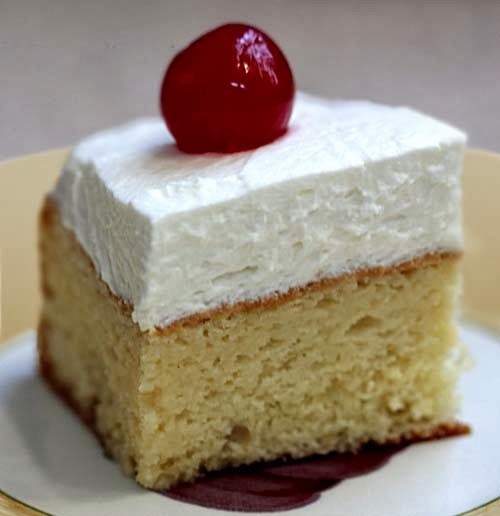 Along with churros, tres leches cake is another Mexican dessert that I like. It's very sweet because of condensed milk. Although it takes a long time to make, they're worth it. FoodNetwork.com has a recipe that's simple to follow. Place the butter into the bowl of a stand mixer (e.g. Hamilton Beach 6 Speed Classic Stand Mixer 64650). Using the paddle attachment, beat on medium speed until fluffy, approximately 1 minute. Decrease the speed to low and with the mixer still running, gradually add the sugar over 1 minute. Stop to scrape down the sides of the bowl, if necessary. Add the eggs, 1 at a time, and mix to thoroughly combine. Add the vanilla extract and mix to combine. Add the flour mixture to the batter in 3 batches and mix just until combined. Transfer the batter to the prepared pan and spread evenly. This will appear to be a very small amount of batter. 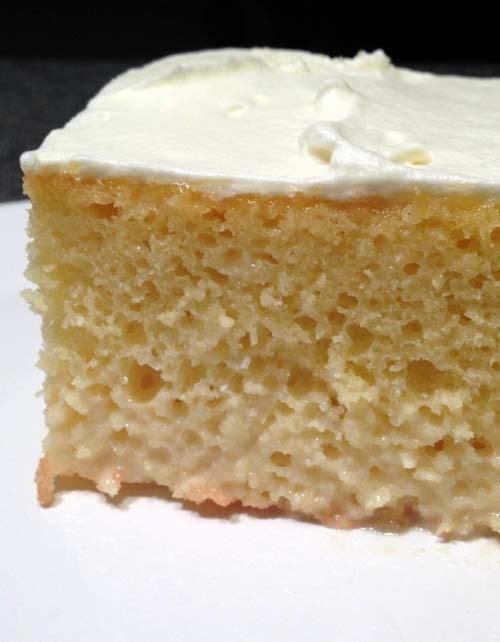 Bake on the middle rack of the oven for 20 to 25 minutes or until the cake is lightly golden and reaches an internal temperature of 200 degrees F.
I love how sweet milk sometimes saturates the bottom of tres leches cakes.